Poole Park was glowing this month as hundreds of runners took part in the first Dorset Neon Run for Dorset charity Diverse Abilities. 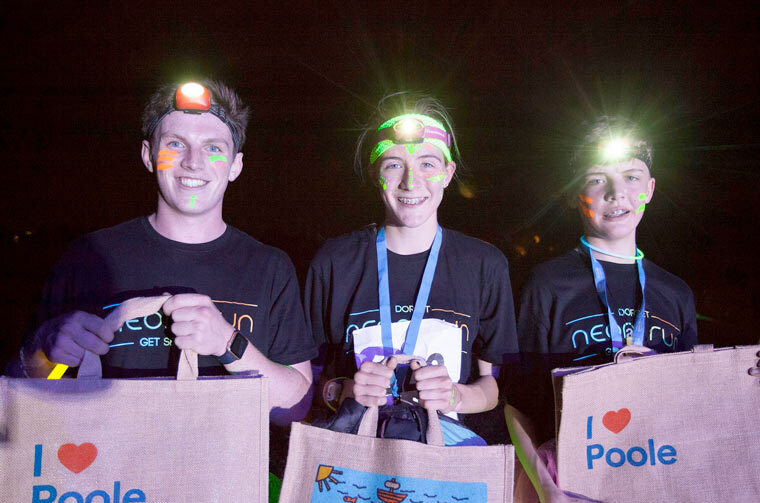 Poole Park was glowing this month as hundreds of runners took part in the first Dorset Neon Run in aid of Diverse Abilities, raising over £25,000 for the charity that supports children and adults living with disabilities in Dorset. Over 350 people glowed and lit up the park as they ran the 5k course donning their neon paint, tutus, glow sticks and bracelets. Live music was provided by Jenni and Nicky while Clubbercise instructor, Olivia Storey, got everyone in the party mood by hyping up the crowds with a fun-filled warm up before they set off for the run. Congratulations go to first place winner Amy Mercer from Wimborne Athletics Club with a time of 19 minutes 11 seconds and in second place was 16-year-old Joe Talbot running in 20 minutes 20 seconds. Everyone that took part in the fun run was supporting hundreds of local people that the charity supports, just like Victoria. Victoria is 14 years old and has been visiting the charity’s respite home, Lily’s Place, since she was 11. Victoria requires constant care from her parents and cannot do many things other teenagers can. Lily’s Place offers much needed respite for Victoria and her parents, including day care and overnight stays, which allows Victoria’s parents time to rest and relax while she enjoys the experiences that the state of the art facility can provide. These experiences include the sensory room – a cutting edge therapy suite full of light-based stimulation tools designed to help with audio-visual development. Ashley Weedon, fundraising manager at Diverse Abilities, commented after the run, “We were thrilled with the turnout at our first Dorset Neon Run. Everyone looked amazing in their neon bling and really lit up the night while raising funds for Diverse Abilities. The Weymouth Dorset Neon Run takes place on 23 September at Lodmoor Country Park and is open to anyone over the age of 12. To take part in the next Dorset Neon Run or even volunteer at the event, please visit www.dorsetneonrun.com for more information. To find out more about Diverse Abilities please visit www.diverseabilities.org.uk or call 01202 718266.